I’m sure that I’m preaching to the choir here when I say that YouTube is a boon for crafters with a problem, query or a foggy memory. When I was a crochet noob and got stuck on something and a book just didn’t cut it, I’d just do a quick search on YouTube for a tutorial and POW! Problem solvered. Now, I just happen to know a lifesaving YouTuber and I want to introduce them to you! We got to know each other through a DIY community known as ThreadBanger (which actually came to an end and then miraculously resurrected itself later much to my delight and her videos are now officially under the Threadbanger banner, but that’s a long story and I digress…). Whitney hosts “Whitney Sews” in which she serves as both teacher and inspiration to crafters everywhere. And she was kind enough to answer a (sometimes silly) questionnaire for me. 1. For those who aren’t familiar with you, tell us a bit about yourself and what you do. I’m a mid-twenties gal from Oklahoma. I got to marry my best friend in May 2010! I’ve always been told I would be a good teacher (I laughed every time I heard it). About a year ago I realized I am a teacher. But instead of standing in a classroom I get to teach from my sewing room with a camera thanks to youTube. 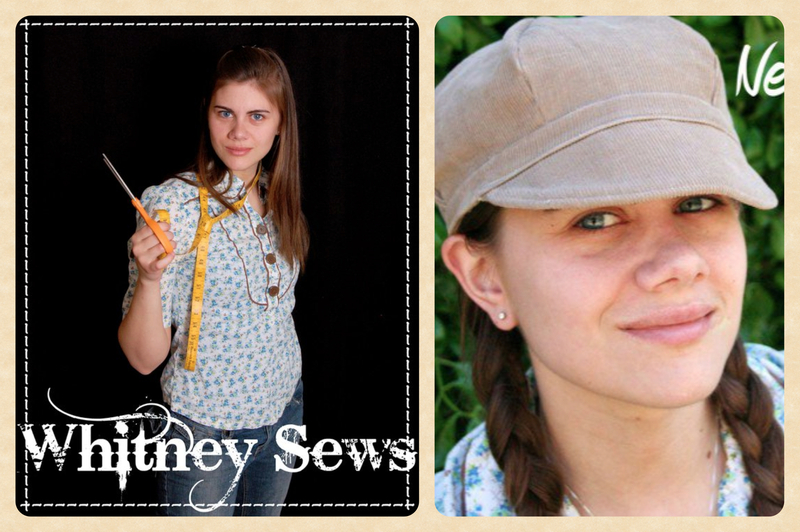 Whitney Sews started as a total accident when I ran out of ideas for a final video project. I had one weekend, a camera and no ideas. I looked over and saw my sewing machine and knew what I wanted to do. (I was THAT girl who had a sewing machine in the dorms and would stay up until 3 a.m. sewing! Never got any complaints though!) I put the video up on YouTube, like I did all my projects, and got a good response. I graduated the next weekend and had 4 weeks before my summer job started, so I made a second episode. It’s been 2.5 years and I never dreamed my last minute project would turn into all of this! 2. How do you decide which projects you’re going to do for your videos? I tend to be all over the place when it comes to projects and idea. 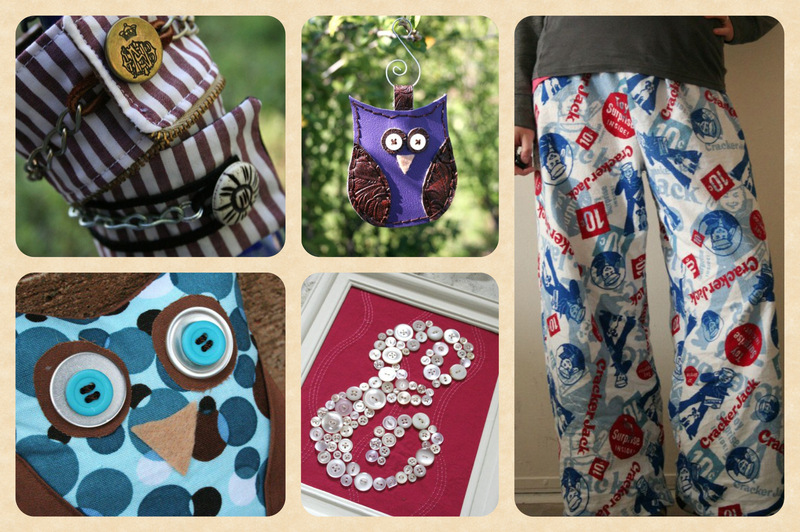 Sometimes I create a project out of need (like my pajama pants tutorial). Other times it’s based on requests (my newsboy hat tutorial is a good example). Then sometimes I see something online or in a store, totally out of my price range, and I make a tutorial recreating the item on a low budget. 3. Obviously you’re a part of an online crafting community, but do you have an offline community that you’re a part of? The only ‘community’ I can really think of is my church. My husband and I co-head the media team, so each week I create our announcement video. We also both photograph and video any special church events or servolution projects. 4. Favorite restaurant and why? Ted’s Escondido! It’s an Oklahoma based Mexican restaurant…they have the best chips/salsa/queso that I’ve ever had! 5. What crafts would you love to do but haven’t you tackled yet. I would love to be able to crochet. My friend Angela is an insanely talented crocheter and she’s tried to teach me…but it just hasn’t clicked yet. 6. How do you get back on the creative horse when you’re feeling uninspired? Google is my best friend. When I need inspiration I will google image search key words and look through the pics that come up. I usually google a color, material, or style then save images I like to a file on my desktop named ‘Pretty Things to Look At’. 7. Name three blogs/channels that you adore that you think everyone should check out? Hmm…it’s hard to pick three. I’d say from a creative standpoint everyone should check out Craftzine, I Am Momma Hear Me Roar, and Craftovision. 8. What’s the craziest mishap/mistake that you managed to fudge and come out on top? The first mishap that comes to mind is from my costuming days. Twenty minutes before the opening of Cinderella the zipper broke on one of the gal’s dresses (keep in mind we used vintage clothing as much as possible so the metal zipper was worn out). Angela and I began to frantically rip the zipper stitching out from both ends but it wasn’t happening fast enough. So we put the girl back in the dress, pinned her in, and found a cape for her to wear to hide the bad zipper. As soon as the first set of scenes was over she put her ball gown on and threw the dress our way. We finished ripping the zipper out and I sewed in a new one (was the second zipper I had ever sewn into clothing). By the time the next town scenes came up you couldn’t tell there had even been a problem. The director never even realized the mishap had happened! 9. Where do you see Whitney Sews going in the future? SKITTLES! I don’t really like chocolate. Isn’t she a gem!? I don’t spend a whole lot of time on YouTube these days because my time seems to just disappear… does that happen to you? But when a new video of Whitney’s pops up in my subscription feed I defs give it a click. You don’t have to be a beginner at sewing to appreciate them. I’ve been sewing for years and years, but I find inspiration in her projects (she doesn’t just sew! ), and I’ve even found a good many tips and tricks I didn’t know before (I mean, you don’t know a different way to do something unless you share these things, right?). Whitney also gave me a selection of her videos to share, and you might just find some ideas for some crafty Christmas presents. I especially love the owls. Go give her some love, peeps! And I will certainly check out her youtube tutorials! Thank you for that! I really enjoyed this interview. Both you and Whitney are inspiring. I’m honored that you were down with it! Yay! Something to check out on the weekend. Wayne and I bought a sewing machine last Christmas and, apart from testing that it worked, haven’t sewed a thing. Shameful, I know… must get inspired. how awesome! i’m going to go check her channel out now!